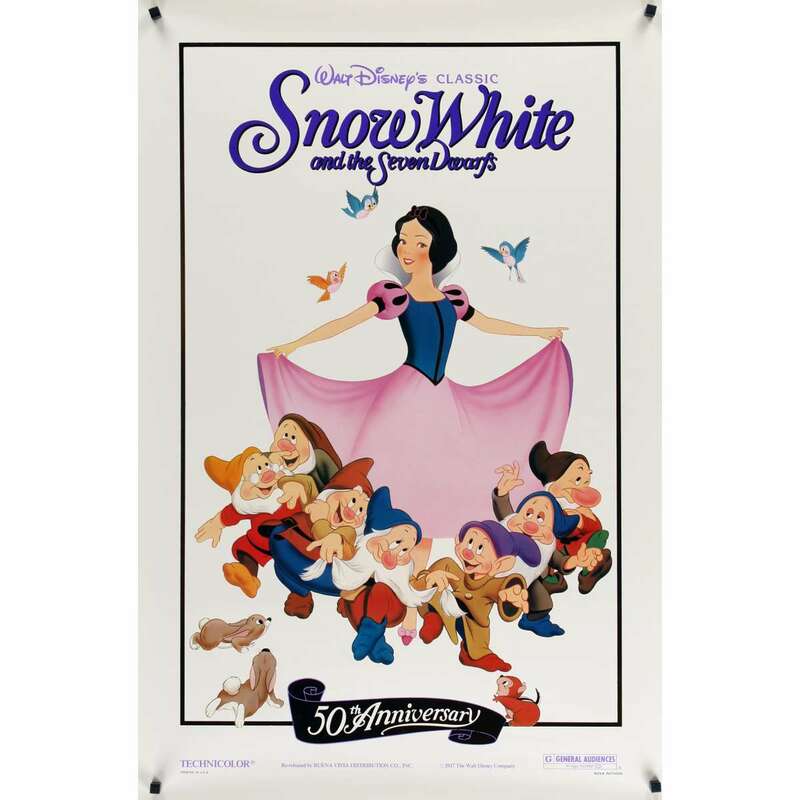 SNOW WHITE & THE SEVEN DWARFS foil Movie Poster R87 Walt Disney animated cartoon fantasy classic! > Movie Posters>Film Posters>US Posters>SNOW WHITE & THE SEVEN DWARFS foil Movie Poster R87 Walt Disney animated cartoon fantasy classic! A 1987 Re-Release Vintage Theater-Used Unfolded One-Sheet Movie Poster (1sh; measures 27" x 41" [69 x 104 cm]) Condition: Excellent (C8) See our 10 GRADE SYSTEM Page for more information.